Forum » WARSHIFT FORUM » GENERAL DISCUSSION » W.I.P. Terran armored heavy vehicle - "Moroder"
W.I.P. 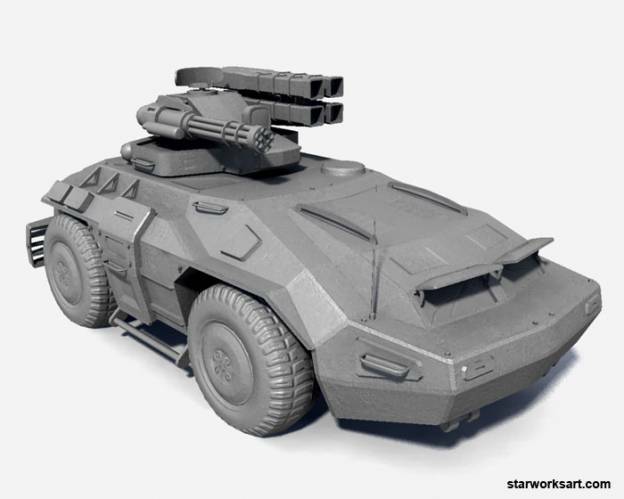 Terran armored heavy vehicle - "Moroder"
Hi, this is work in progress of some heavy vehicle - armored personnel carrier armed with machine guns and homing missiles. I hope you like it, as always critique, advices and comments are welcome. Good work! what type of rockets? Nice to have : Infantry gun ports, options for big pointy "spars" in front, for use when ramming. Thank you! Yes, amphibious cababilities are planed at future too. I want to see it has more wheels so it looks heavier and more stable. 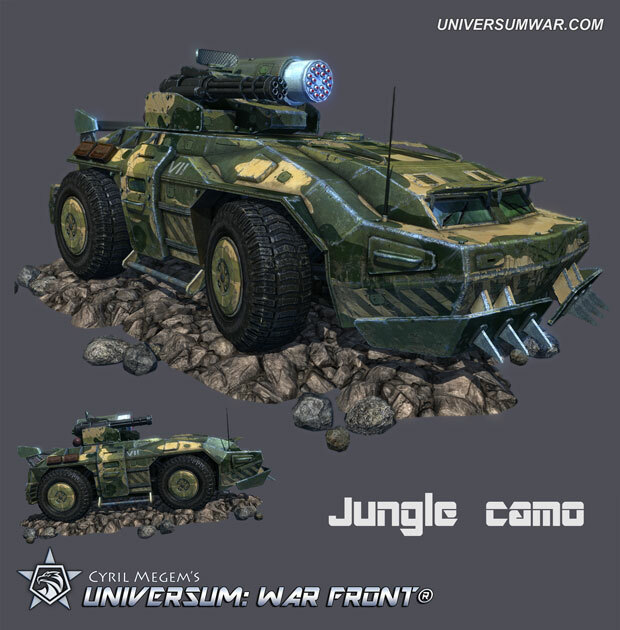 Will the vehicles be customizable? This is cool Cyril. 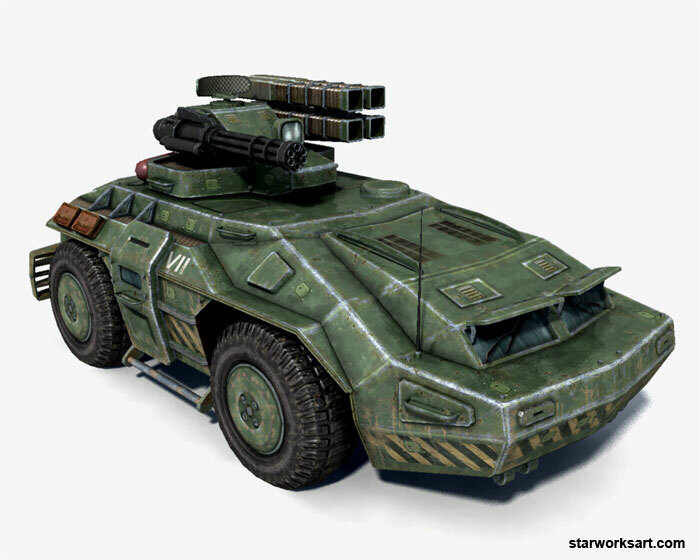 By the way, I don't know if this question has been asked before, but can the Terran soldiers enter the armored vehicle and be transported around the map? By the way, remember to update this Website's "Home page" to reflect the option of Paypal funding, since the only place fans learn about it right now is by visiting "Store"
For the vehicle, Moroder, will we need a Republican Guard or Siren to operate it? Example: the Siren finds the vehicle and gets in to drive it. Is the vehicle another choice the user can choose to pick to start the game? Example: you can pick either the Siren, Republican Guard, Moroder, or TRS to start the mission. Any hero-type unit can be chosen once - at start. So Moroder can't be operated by other heroes in skirmish mode. But it of course can transport and deploy terran soldiers. Maybe some vehicles will be operated by human heroes in single player campaign, maybe not, I dont know yet..
By the way, "TRS" now renamed to "Corsair".